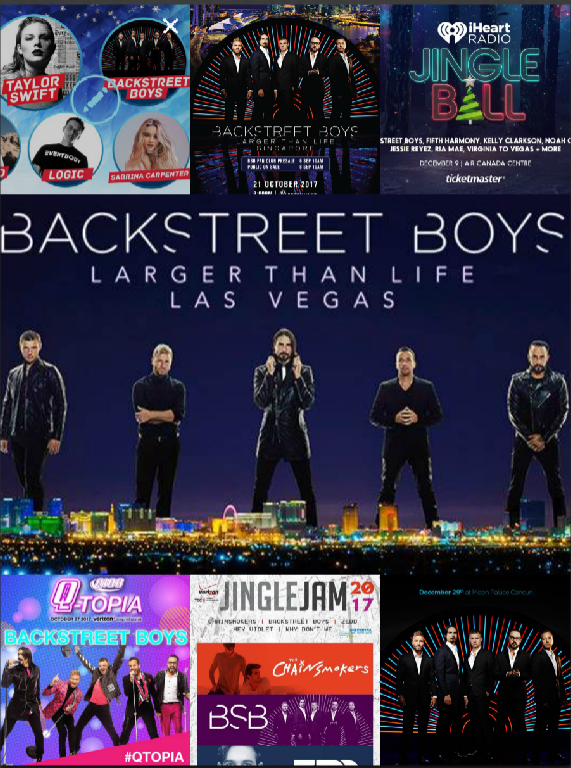 BSB Vegas shows start back in less than a month (!!! ), but that definitely isn’t the only thing that Kevin, Howie, Brian, AJ, and Nick will be doing for the rest of 2017. From West to East to the other side of the world, the Boys are ending 2017 just as they will begin 2018 – busy, busy, busy. Wondering where you can catch your fave five before the end of the year? Check it out below! October 21st - BSB in Singapore – SOLD OUT! This event sold out in less than a few hours with VIP selling out in minutes! Singapore has got it going on. Photo Ops, selfies, autographs and a little one-on-one time with Nick? Sounds like a good way to spend your weekend to us. Keep an eye on the website for updates to panel schedules, photo op times and more. The Backstreet Boys will be headlining the event and will be joined by Fergie, Flo Rida, and more. It’s the perfect way to kick off the aforementioned Walker Stalker weekend! What happens in Vegas… ends up on Instagram, Twitter, and more. Don’t experience FOMO – get yourself to one of these shows ASAP. If you’re a Fan Club member, don’t forget to enter to win a VIP Meet and Greet! The Backstreet Boys + Taylor Swift + Fifth Harmony? There’s nowhere else you need to be on December 7th. This is the Boys’ only stop in Canada before the year ends – you don’t want to miss that, do you? The Backstreet Boys meet The Chainsmokers and Zedd once again at this show and it’s sure to be epic. Cancel your plans. You have to be there. New Year’s weekend in Cancun with the Backstreet Boys. Need we say more? Can’t make it anywhere this year? No worries! The Boys aren’t slowing down and they have a lot more left to give you in 2018 (besides their love). If you haven’t joined the FC already, you’re going to want to soon for more exclusive contests, sneak peeks, photos and new fan friends. You can join here (as well as see merch only available to members).